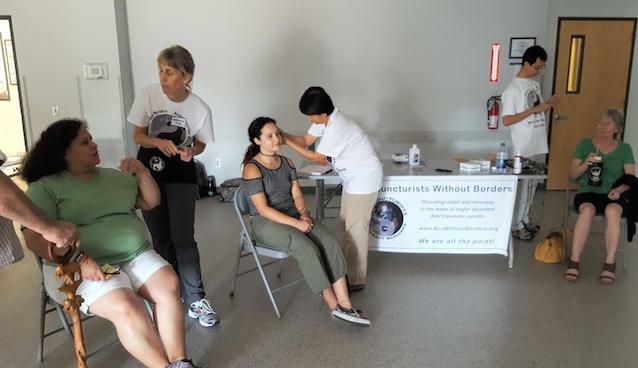 Join Davis acupuncturists and Acupuncturists Without Borders volunteers, Johanna Utter, L.Ac., FABORM, and Lyle Najita, L.Ac., at a drop-in community-style ear acupuncture clinic as a fundraiser for Acupuncturists Without Borders! Suggested donation: $10-20, but any amount gratefully received and no one will be turned away. This event is both a fundraiser for AWB and an opportunity for the community to experience trauma relief acupuncture. Thank you to Davis Community Church for hosting this event!